On 18 February 1942, in the wake of the surrender of the British miltary and subsequent collapse of British authority, the victorious Imperial Japanese forces began the imposition of Sook Ching, or a “cleansing purge” upon the Chinese population of Singapore. Because the Singaporean Chinese community had given strong financial support to Chiang Kai-shek and the Kuomintang in the war against Japan, (there is a memorial to China’s first president, Sun Yat-sen, in Singapore) the Japanese occupation government determined that this support had to be eliminated forcefully. Accordingly, they began a screening process, rounding up any and all suspected of anti-Japanese sympathies. The number of people who were caught up in this purge are much disputed. The Japanese acknowledge that perhaps 6,000 people were killed; the Chinese community in Singapore believes it was 100,000. Most sources state a figure between 25,000 and 50,000. No matter the numbers, it was a huge devastation upon the Singapore Chinese, and it also resulted in many deaths among other ethnic groups as well, for anyone who had served in the colonial administration was suspect. In addition, during the occupation, food was rationed in starvation portions. An adult could only purchase about 8 pounds of rice per month, and that at exorbitant prices. An unknown number of people died of malnutrition or starvation during the occupation. 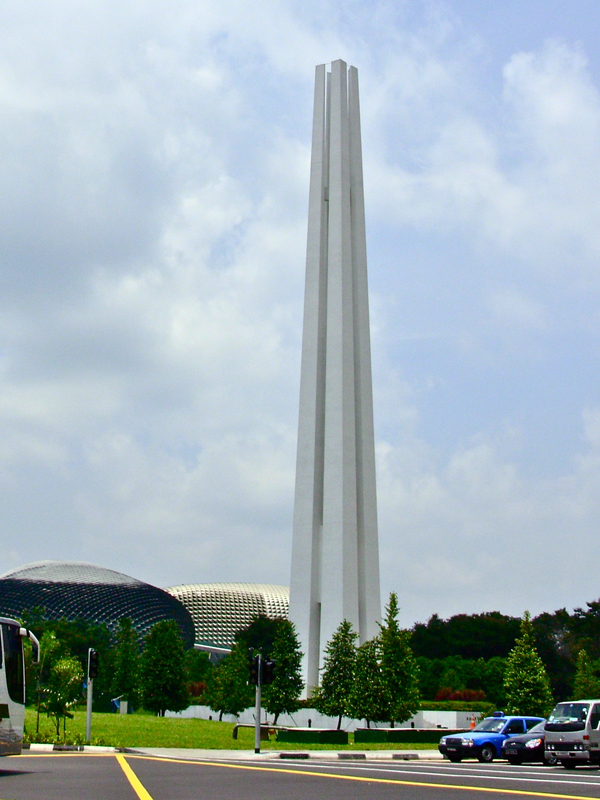 It is regarded as the darkest period in Singapore’s history, and many in Singapore consider that the movement for independence was born of the lessons learned during that time. When the Japanese surrendered in 1945, Singapore was a shell of its former self, and its economy seemed permanently ruined. It would be years before it returned to pre-war levels. But in the 48years since Singapore’s independence, it has been one of “The Asian Tigers” with a vigorous, fast-growing, highly modernized economy, and one of the highest standards of living in Asia. But the war years are not forgotten: there is a striking monument to the victims of the occupation in downtown Singapore, and annual memorials are held on February 18 each year. This entry was posted in On This Day and tagged Ethnic cleansing, Singapore, Sook Ching, Southeast Asia, World War II by Jamie Rawson. Bookmark the permalink.